The Illinois promissory note templates are designed for two parties consisting of a lender and a borrower. 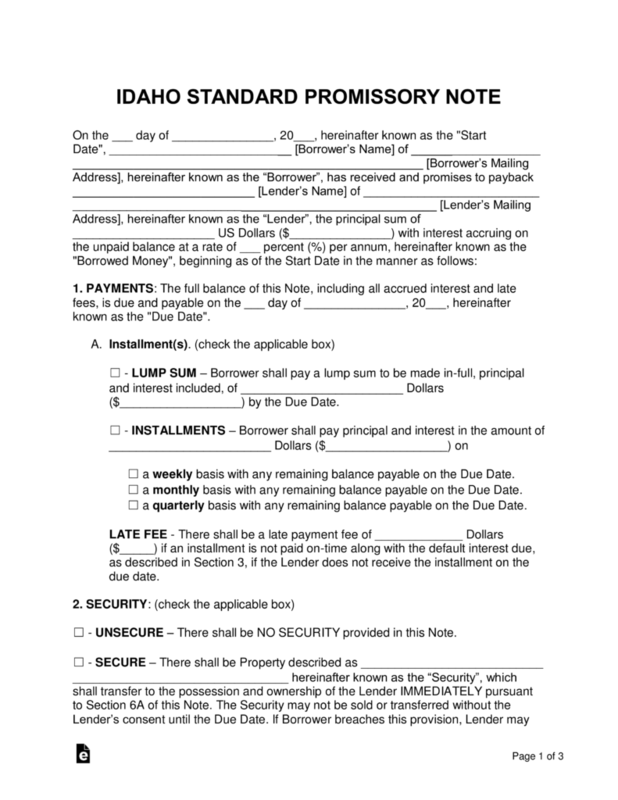 The transaction consists of a lender loaning money to a borrower and collecting the loaned amount back plus interest over time. The agreement helps ensure the deal is legal and both parties are clear on the terms and conditions of the deal. Secured Promissory Note – If the borrower defaults on the balance, the lender is granted to take a predetermined possession of the borrower, such as a home or vehicle, to cover the cost of the remaining balance. 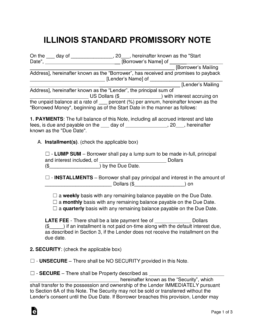 Unsecured Promissory Note – This version does not include security. If the borrower defaults, the lender will have no immediate way to recover his or her lost money. To help guard against this potential problem, the lender should know the borrower personally and have the utmost trust in him or her. We are ready to help you with anything. If you have any issues do not hesitate and contact us.